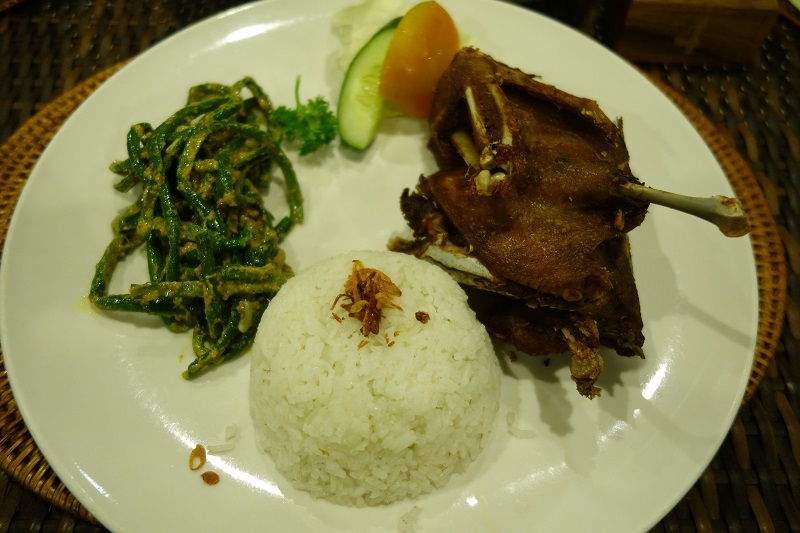 Bali’s famous crispy duck is no exception to that. 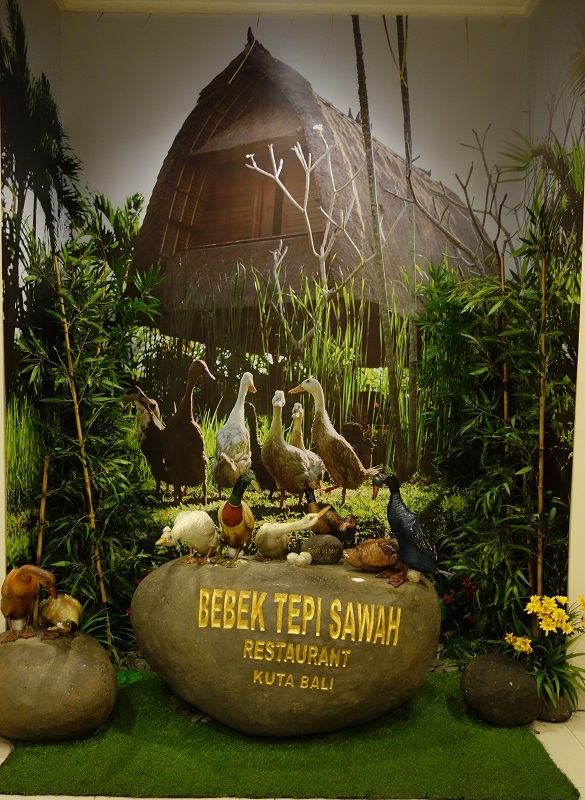 Aside from the well-known Indonesian staples like Nasi Goreng, Beef Rendang, and Satay, one should also have a taste of Bali’s popular bebeks (ducks) — particularly the ones at Bebek Tepi Sawah. 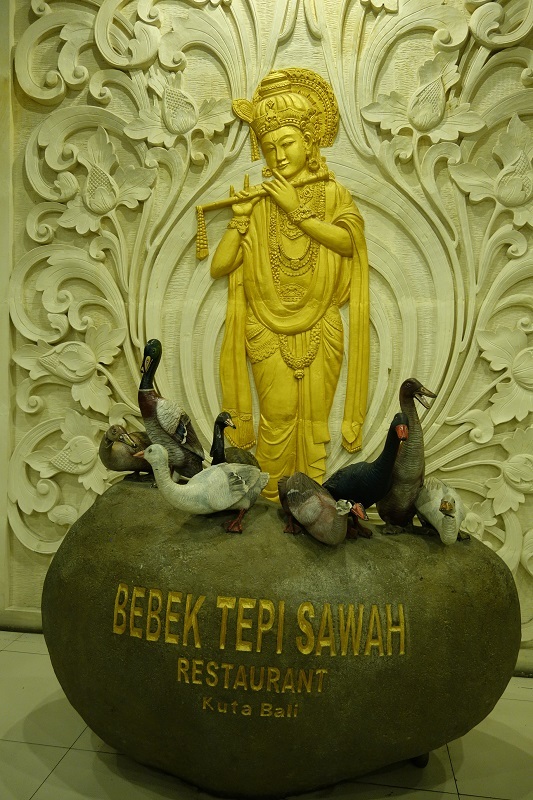 There are three Bebek Tepi Sawah branches scattered across Bali — one in Ubud, Kuta, and Tuban. 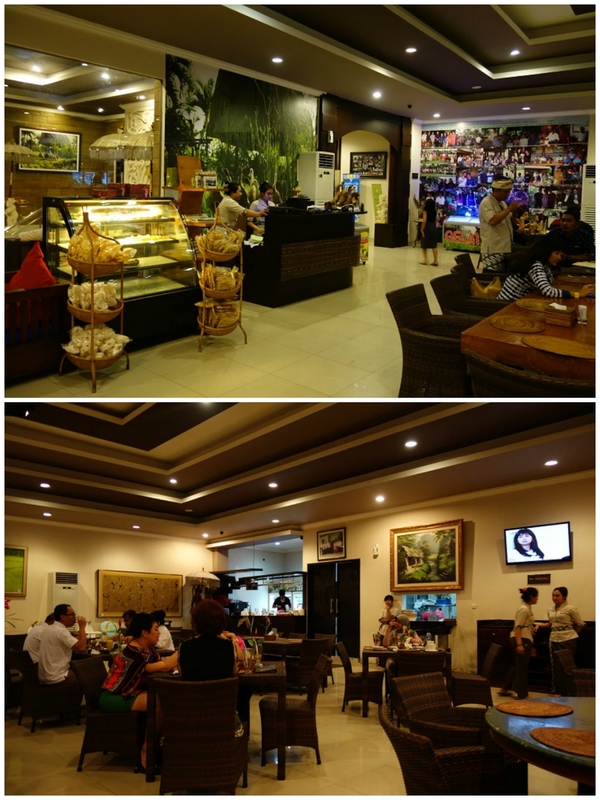 The one we went to was at the Krisna Wisata Kuliner building in Tuban, just 5 minutes away from the Ngurah Rai International Airport. When we entered, we passed by a huge wall filled with photos of distinguished people who have dined at this restaurant. We didn’t know most of them but seeing that wall with famous folks confirms that this place is one that must not be missed when in Bali! 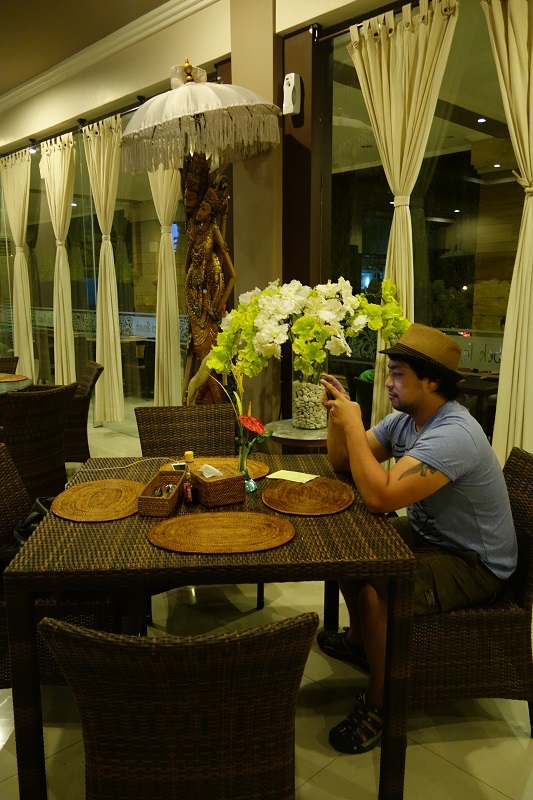 Look around the restaurant and you will see the rustic furniture, wooden tablescape, ornate Balinese statues, fresh flowers, and photos and figures of ducks. With all of these, there is no denying it: you really are in Bali! 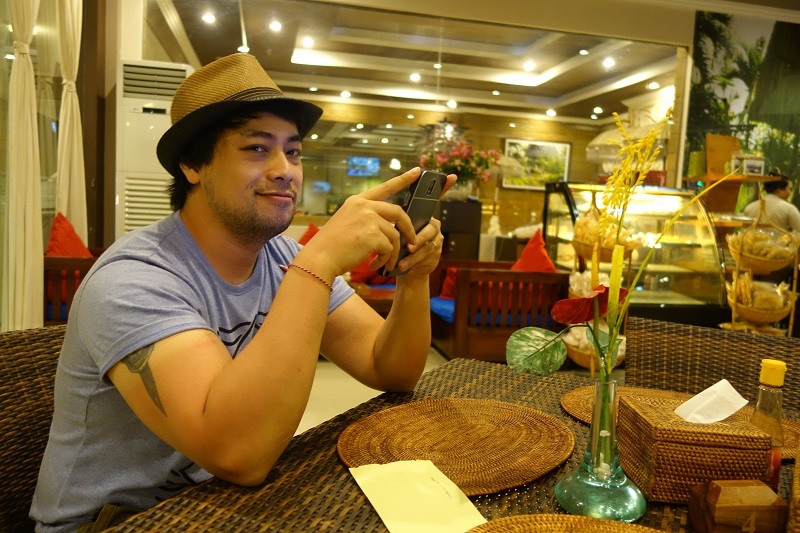 The warm lighting in this restaurant makes it easy to take good photos and gives the place an inviting ambiance. IT also helps that the place is clean. Another plus point? Free Wi-Fi! The only downside of free Wi-Fi. 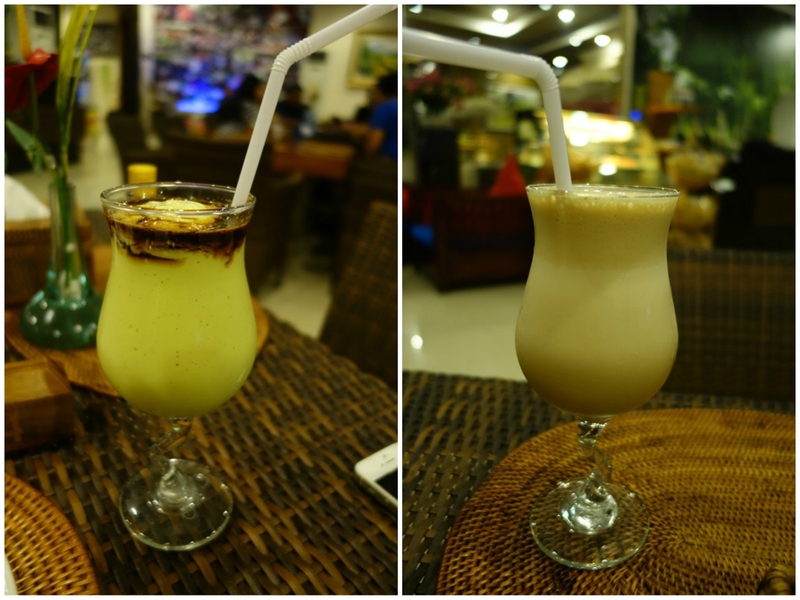 For drinks, we ordered the Avocado Ice Coffee and Almond Ice Coffee. Both were delicious and creamy. The drinks had a slightly thicker consistency than regular iced coffee so it felt like drinking an avocado and almond smoothie with coffee flavoring. 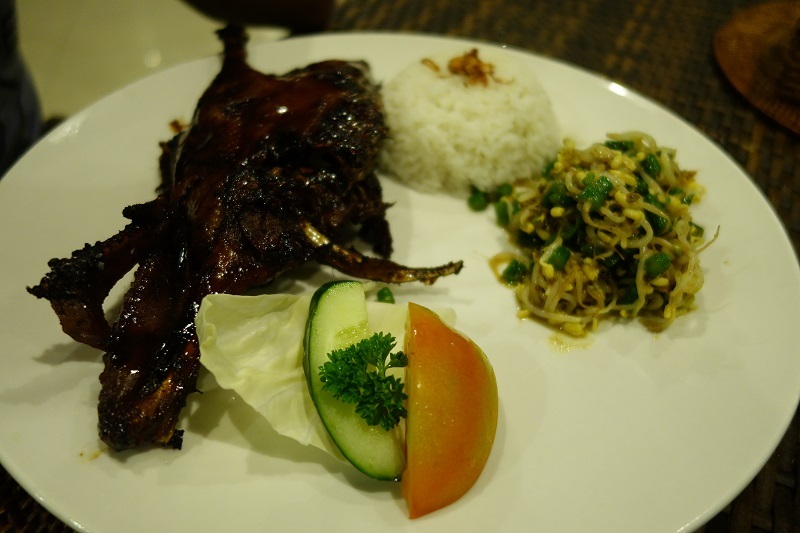 As for the food, Bebek Tepi Sawah has a wide menu but because their cripsy duck was the star of the show (or the star of the menu, whatever), of course we had to have that! You can have your duck in two ways: crispy or grilled. Mike went for the Traditional Grilled Duck. Brushed with a special sauce that was both sweet and savory, this duck dish has a smoky and barbecued flavor. This needs no sauce because it was already good on its own. Mike said that he prefers this over the crispy duck, which is what I ordered. 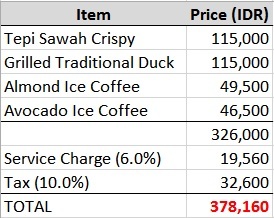 I had the Tepi Sawah Crispy (Crispy Duck). Between this and the grilled version, this one was simpler, sauce-free, and fuss-free. Surprisingly, I liked this more than the grilled duck, which tickled Mike’s fancy more. Both were good but I just enjoyed the crispy duck more because, well, for one, it was actually crispy! And without the sauce, I could really taste the duck’s unadulterated deep fried goodness without any other flavors masking its natural flavor. 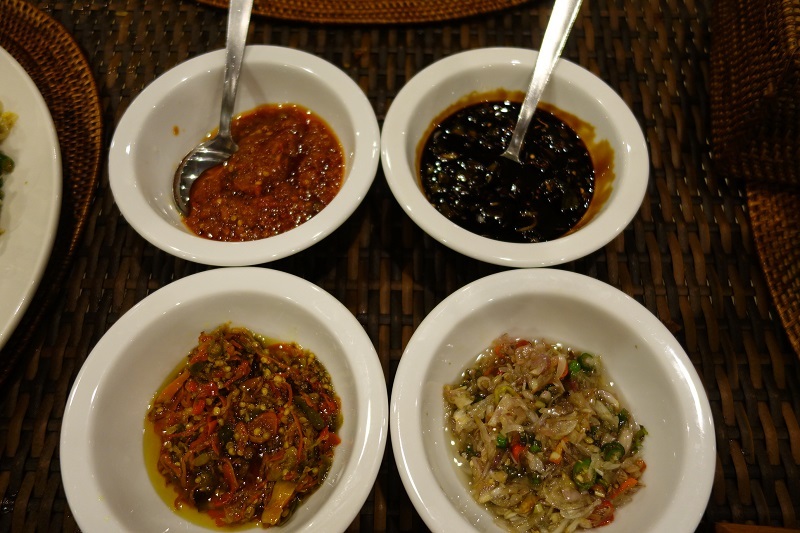 Both grilled and crispy duck dishes come with a side of Balinese vegetables and four kinds of sauces which include the usual: Sambal Matah (raw Balinese sauce) and Sambal Tomat (Balinese chili sauce). Oh boy, that was a good meal! 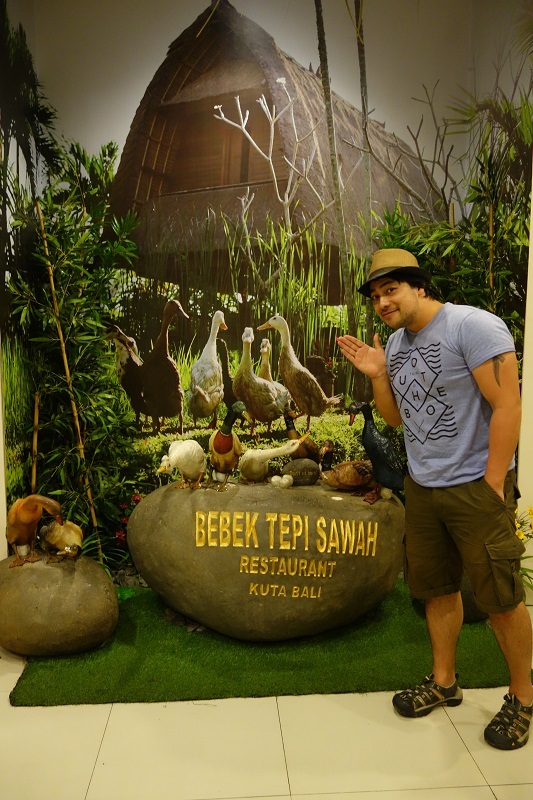 I understand now why so many people are raving about Bebek Tepi Sawah! Pa-BEBEK wave. P.S., This was HIS idea. For those of you who don’t know what the hell a “pabebe wave” is, read about this viral Filipino craze here. Swing by Bebek Tepi Sawah when in Bali. You have to try their duck dishes at least once in your trip! Amazing pictures and article! Thank you for sharing!